To be a unique African wildlife sanctuary which focuses on conservation and the sustainability of rare animal species. To provide an authentic experience to nurture social transformation which enhances ecosystem sustainability. 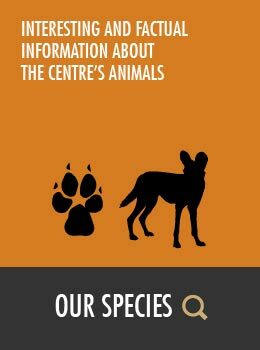 We recognise the interdependence of humans, domestic animals and wildlife within the environment, and its impact on the sustainability of the world that we live in. We aim to contribute to this sustainability by creating unique gene pools that can sustain the heterogeneity of the species that we deal with, while also advancing knowledge about their health and welfare through relevant research. As part of our social responsibility we educate the local community about conservation and involve them in our activities to create an awareness of sustainability and the complexities of the web of life. 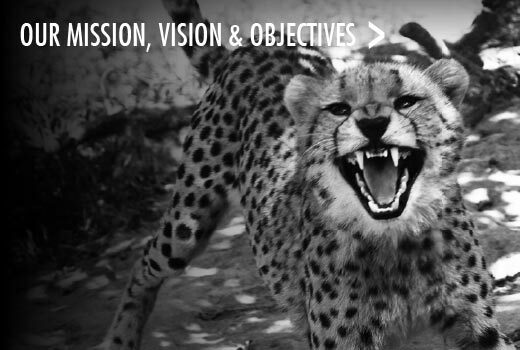 On a broader scale, we aim to increase awareness of the general public, including local and international tourists, of the importance of our work by providing a unique and unforgettable African experience based on a financially sustainable management system. 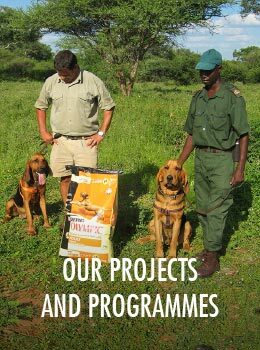 Contributing to anti-poaching initiatives on the Kapama Reserve, as well as providing a sanctuary for rhinos which have been orphaned or injured as a result of poaching.